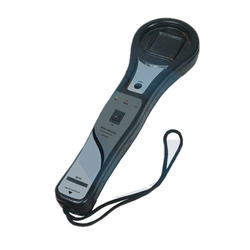 We are leading trader and exporter of Metal Detector. 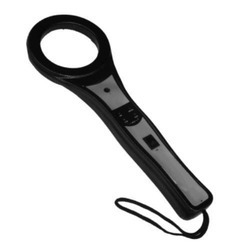 Hand Held Metal Detector features Fully Automatic self adjusting circuits. Inbuilt battery charger. Detects all metal objects, ferrous & nonferrous including stainless steel. Very quick & clear response to metal objects with proportional audible (buzzer) & visible (LED) indicators. Will not affect cardiac pacemaker & magnetic tapes. Fill strength does not exceed the limit set by the NILECJ-0602 standard. Buzzer sounds continuously when battery needs to be changed or recharged. 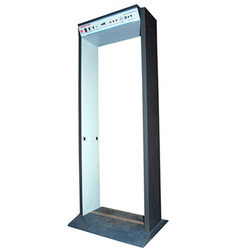 We are capable of providing a large gamut of Door Frame Metal Detector to our valued clients. These are available in different sizes and dimensions and has various attractive features like a sun-mica wooden frame for indoor use, six zones (Level) top to bottom of the frame, Fully Auto Set, Micro-controller based, Detect all metals & ferrite and Four programmable sensitivity selection. Apart from this, we assure safe and on time delivery of these products.